BTGuard is a Canadian VPN with servers located across North America, Europe, and Asia. Fun fact: the “BT” part in BTGuard stands for BitTorrent – so we’re expecting good torrent support! The company touts 10Gbit servers and unlimited download speeds. Combine that with a BitTorrent Proxy service, and BTGuard seems like a solid offering. Of course, we have to find out for ourselves. BTGuard offers two deals: BitTorrent proxy ($9.79 a month) and their VPN service. We’re happy to tell you that they, in fact, support your torrenting behavior. BTGuard anonymizes your downloads and is also compatible with Vuze and uTorrent. Want to check out what other VPNs support your torrenting activities? We recommend these VPNs. Clients can pay through PayPal, credit card, and Bitcoin. Nice to see Bitcoin in there – plenty of options here, and with bitcoin, options that keep your personal details off of the payment slips. The signup process for BTGuard is relatively easy. Simply head to their website and click the “Join” tab then choose the VPN option. Remember to double check you’re clicking the right service since their BitTorrent service is just above the VPN button. 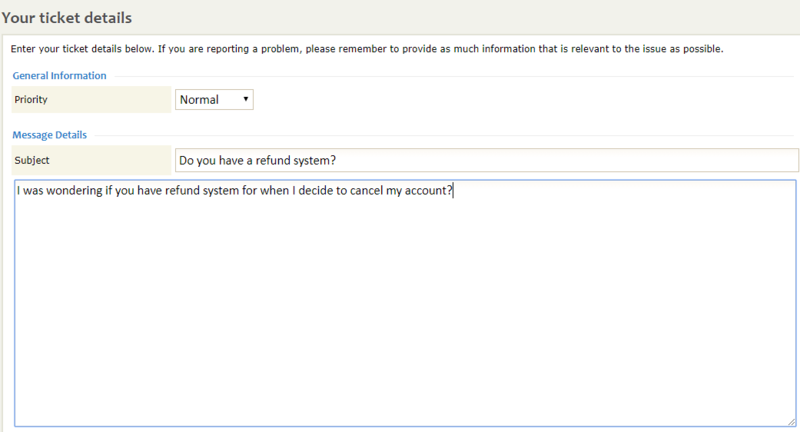 After you’ve done that, type your account details in the respective boxes. Click “Continue” and you will be led to the payment screen. After this, you pick which software you need for the system you’re currently on. In our case, it was Windows 10. 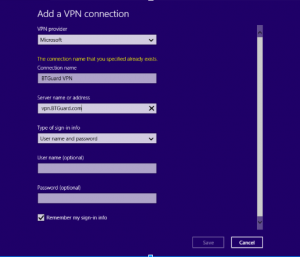 Instructions on how to set the VPN up will appear. Then go back to your browser to download the final step. Hit the download link then extract the files. Double click on DisableIPv6.reg to run the program. Once you’ve accomplished this, you’re all set! 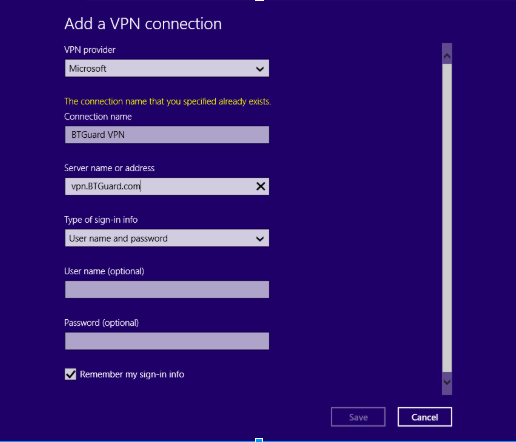 A bit more complicated than a custom software VPN, but the integration into Windows 10 is nice. BTGuard will not keep track of your usage log and will ask for your permission first before sharing any of your data with other companies. BTGuard’s website is dark with its predominantly black color palette, and sleek font type – we’ll be honest, it feels a bit too edgy in tone; think early 2000s hacker culture. Still, the overall design is good. This kind of early 2000s look is a predominant theme throughout the entire product. BTGuard’s VPN supports most common devices, and it’ll come as no surprise that the likes of Windows, Mac, Android, iOS, and Linux are supported. Their knowledge base states that you can use the VPN on as many devices in as many locations as your heart desires, which is great to hear – most VPNs limit users to 5 devices. Note, however, that sharing your account with other people, may see your account terminated if the VPN sees your location regularly varying. BTGuard uses the AES-256 encryption type, the good military-grade stuff. 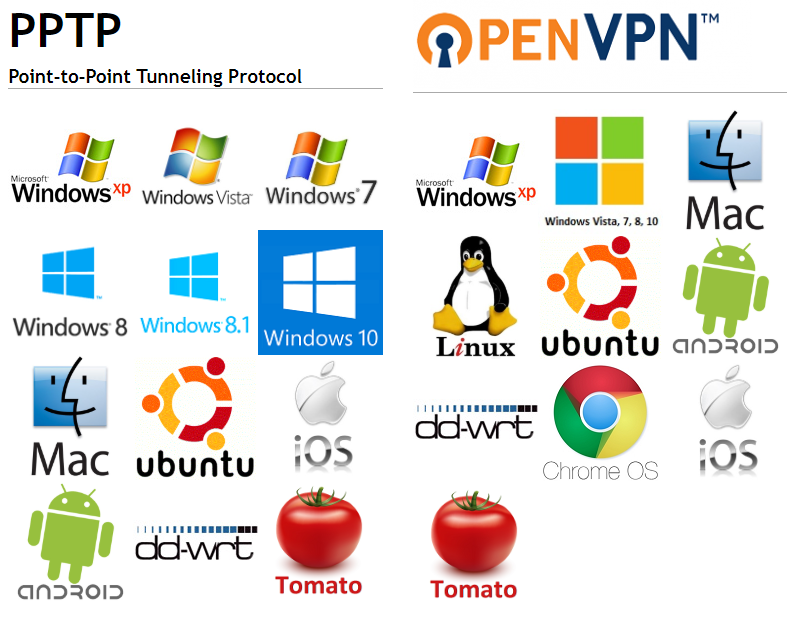 As for protocols, they use OpenVPN and PPTP, with OpenVPN being the golden standard. Still, we’ve seen other VPNs offer plenty more choice for advanced users, so don’t consider us overly impressed here. The networks they are offering are located in just 3 countries; Canada, the Netherlands, and Singapore. This increases the risks of connection loss if a user is far from any of these servers. We do hope they expand soon, though! BTGuard’s performance is a huge red flag. It’s so bad that we can count it in our top worst performing VPNs. We believe BTGuard positioned themselves primarily as a proxy for people who torrent… although it doesn’t seem optimized at all. Hello, black screen, my old friend. I’ve come to tell you again; this VPN doesn’t let you access Netflix. Sad, sad times. Don’t be disheartened, though. 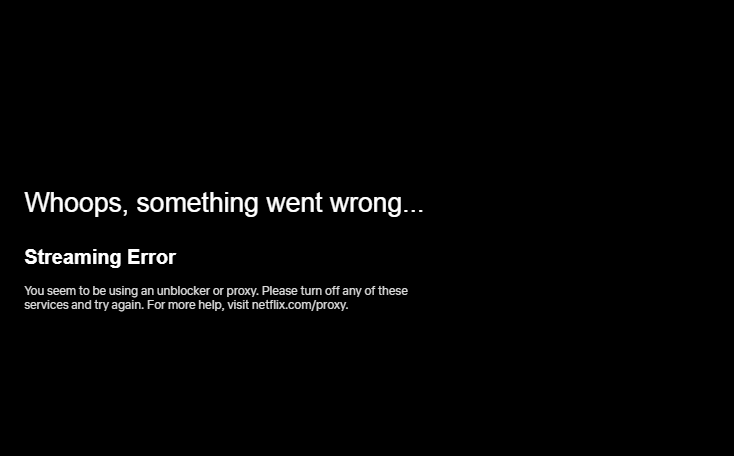 We recommend looking at these other options that will unblock Netflix for you. This is not the cheapest VPN in the market, let’s start with that. Actually, consider this expensive for its performance. A monthly subscription costs $9.95 – a lot higher than other options we’ve seen, some under $5 a month. For users looking for a more long-term plan, they have a 3-month plan for $39.96, where you can save 5%; there’s also a 6-month plan for $71.50 which will save you 15%. Finally, their 12-month plan will set you back $91.62, and you’ll save 25% for an average monthly cost of $7.64. There are no statements of BTGuard’s refund policy nor any money back guarantees on their website. You are, however, free to cancel anytime as stated in their plan offerings and that’s the biggest clue we’ve gotten from them so far. We emailed their customer service regarding this inquiry. They have not yet replied at the time of writing. We’re not huge fans of the ambiguity here. BTGuard’s customer support is not great, to put it bluntly. Okay, let’s be brutally honest. It’s bad. They rely heavily on the ticket system which, by the way, isn’t even 24/7. The left side of their Support center page has “Live Chat” on it. We clicked to see if it led us to a hidden live support – alas, no such luck. We were only led to the website of Kayako, a live chat service company. Needless to say, pretty damn useless. BTGuard has a knowledge base in their Support Center where answers to the common inquiries can be found; things like checking if your proxy is working, or how to conduct leak tests. Their knowledge base, however, is not comprehensive – there are gaps in the guide, so don’t be surprised if something is missing. Honestly, it’s a pretty basic offering when clicking the Support button. They also have a troubleshooting tab, but it seems like it’s not completely done yet. It seems like a pretty good idea to reinforce their currently-lacking customer service, though. The IP Leak test was clean. So far, so good. Oh jeez, someone grab the bucket – there are leaks everywhere! Kill Switch: Where is it? BTGuard does not have a kill switch; strange, considering that cheaper VPNs offer kill switches. This absence of kills switch makes it harder for users to protect their data in the case of connection loss. With the DNS leaks we’ve experienced, it’s bold of BTGuard to not offer this feature. BTGuard is registered under the company name Netcrawled LLC. It was founded in 2008 alongside the BTGuard BitTorrent Proxy. BTGuard VPN seems like a proxy for torrenting. Just a proxy – nothing more, nothing less. Originally based in Toronto, Canada, the business is now registered in Sacramento, CA. The United States is a country that falls under the Five, Nine and Fourteen Eyes Alliance, as are BTGuard’s servers in Singapore (14 Eyes) and Netherlands (9 Eyes). Subscribing to VPNs under any Eyes Alliance may really put you at risk of having your data compromised by mass surveillance groups. All of this means that the line of data privacy is blurred; don’t expect to stay 100% secure using BTGuard. BTGuard VPN Conclusion: Give it a hard pass! It’s hard to recommend BTGuard to anyone; sluggish speeds, lack of server variety, questionable security and privacy are the first three nails in the coffin for BTGuard. The lack of custom software is a big drawback (particularly for new users to VPN software); customer support is non-existent. Prices are also expensive; put all this together, and you end up with a weak VPN offering. If you’re going to spend your hard-earned $9 on a VPN, look elsewhere for better alternatives – there are plenty. Many of them, you’ll find on our top VPN list!